Looking for a sample meal plan to help you get started on a clean eating lifestyle? Here's a week's worth of great, clean meal ideas that you can try at home. Many processed foods and snacks contain a lot of sugar or high-fructose corn syrup to give them a sweet, irresistible taste. But, including too much sugar in your diet is sure to have a negative impact on your health. 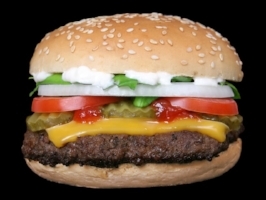 Processed foods often contain high levels of unhealthy trans fats. Trans fats and processed vegetable oils are linked to an increased risk of heart disease. These vegetable oils can be tough to avoid as a part of your diet, since it has so many uses in the kitchen. Instead, try to use more wholesome oils such as olive oil. One of the most positive effects of fiber is that it slows down the rate that our bodies process carbs, which can help us to feel fuller for longer.